Green Magma is certified organically grown young barley grass juice extract. It contains a good balanced nutrient profile with an abundance of vitamins, minerals, antioxidants, enzymes and chlorophyll. A unique antioxidant, 2”-O-glycosylisovitexin (2”-O-GIV) is found only in barley grass. However not all processing methods can preserve these sensitive nutrients. The award-winning extracting and processing method developed by founder of Greed Magma, Dr Yoshihide Hagiwara, is able to capture and stabilise all important nutrients including 2”-O-GIV in Green Magma young barley grass. Good nutrition is the key to optimal health. 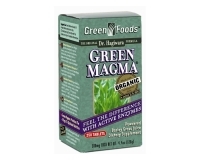 Green Magma supplies the body with essential nutrients that promote health and vitality. Green Magma is a natural food; all its nutrients are in the natural form which are easily absorbed and utilised by the body. Powder: Dissolve 1 teaspoon in 6oz glass of water or juice. Tablet: take 6 tablets, twice a day, on empty stomach. Do not take with hot liquids. Green Magma is suitable for children and adults as a daily nutritional supplement for general health. It is recommended for those who do not consume sufficient greens in their diet. 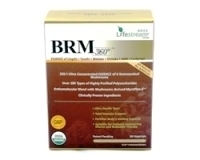 It is ideal for gentle detoxification, to prevent toxic build-up in the body.